The Middle East stands out as the world's most volatile, combustible, and troubled region; not coincidentally, it also inspires the most intense policy debates – think of the Arab-Israeli conflict or the Iran deal. The following tour d'horizon offers interpretations and speculations on Iran, ISIS, Syria-Iraq, the Kurds, Turkey, Saudi Arabia, Egypt, Israel, and Islamism, then concludes with some thoughts on policy choices. My one-sentence conclusion: some good news lies under the onslaught of misunderstandings, mistakes, and misery. Iran is Topic No. 1 these days, especially since the nuclear deal the six great powers reached with its rulers in Vienna on July 14. The "Joint Comprehensive Plan of Action" seeks to bring Tehran in from the cold, ending decades of hostility and inducing Iran to become a more normal state. In itself, this is an entirely worthy endeavor. The annals of diplomacy have never witnessed a comparable capitulation by great powers to a weak state. The problem lies in the execution, which has been execrable, rewarding an aggressive government with legitimacy and additional funding, not requiring serious safeguards on its nuclear arms program, and permitting that program in about a decade. The annals of diplomacy have never witnessed a comparable capitulation by great powers to an isolated, weak state. The Iranian leadership has an apocalyptic mindset and preoccupation with the end of days that does not apply to the North Koreans, Stalin, Mao, the Pakistanis or anyone else. Supreme Leader Ali Khamene'i et al. have reason to use these weapons for reasons outside of the normal military concerns – to bring on the end of the world. This makes it especially urgent to stop them. Ali Khamene'i (right) is often placed alongside Ayatollah Khomeini in Iranian iconography. 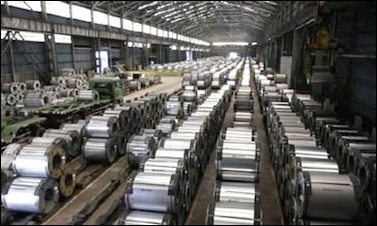 Economic sanctions, however, amount to a sideshow, even a distraction. The Iranian government compares to the North Korean in its absolute devotion to building these weapons and its readiness to do whatever it takes, whether mass starvation or some other calamity, to achieve them. Therefore, no matter how severely applied, the sanctions only make life more difficult for the Iranian leadership without actually stopping the nuclear buildup. The only way to stop the buildup is through the use of force. I hope the Israeli government – the only one left that might take action – will undertake this dangerous and thankless job. It can do so through aerial bombardment, special operations, or nuclear weapons, with option #2 both the most attractive and the most difficult. Iran is a thousand times more dangerous than ISIS. If the Israelis do not stop the bomb, a nuclear device in the hands of the mullahs will have terrifying consequences for the Middle East and beyond, including North America, where a devastating electromagnetic pulse attack must be considered possible. To the contrary, if the Iranians do not deploy their new weapons, it is just possible that the increased contact with the outside world and the disruption caused by inconsistent Western policies will work to undermine the regime. The Islamic State in Iraq and Syria (aka ISIS, ISIL, Islamic State, Daesh) is the topic that consumes the most attention other than Iran. I agree with Ron Dermer, the Israeli ambassador to Washington, that Iran is a thousand times more dangerous than ISIS. But ISIS is also a thousand times more interesting. Plus, the Obama administration finds it a useful bogeyman to justify working with Tehran. 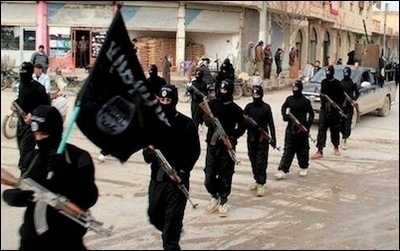 Aspirations to reestablish the Islamic caliphate will likely outlast ISIS. Emerging out of almost nowhere, the group has taken Islamic nostalgia to an unimagined extreme. The Saudis, the ayatollahs, the Taliban, Boko Haram, and Shabaab each imposed its version of a medieval order. But ISIS went further, replicating as best it can a seventh-century Islamic environment, down to such specifics as public beheading and enslavement. This effort has provoked two opposite responses among Muslims. One is favorable, as manifested by Muslims coming from Tunisia and the West, attracted moth-like to an incandescently pure vision of Islam. The other, more important, response is negative. The great majority of Muslims, not to speak of non-Muslims, are alienated by the violent and flamboyant ISIS phenomenon. In the long term, ISIS will harm the Islamist movement (the one aspiring to apply Islamic law in its entirety) and even Islam itself, as Muslims in large numbers abominate ISIS. One thing about ISIS will likely last, however: the notion of the caliphate. The last caliph who actually gave orders ruled in the 940s. That's the 940s, not the 1940s, over a thousand years ago. The reappearance of an executive caliph after centuries of figurehead caliphs has prompted considerable excitement among Islamists. In Western terms, it's like someone reviving the Roman Empire with a piece of territory in Europe; that would get everybody's attention. I predict the caliphate will have a lasting and negative impact. In certain circles, Syria and Iraq have come to be known as Suraqiya, joining their names together as the border has collapsed and they have each simultaneously been divided into three main regions: a Shiite-oriented central government, a Sunni Arab rebellion, and a Kurdish part that wants out. This is a positive development; there's nothing sacred about the British-French Sykes-Picot agreement of 1916 that created these two polities. Quite the contrary, that accord has proven an abject failure; conjure up the names of Hafez al-Assad and Saddam Hussein to remember why. These miserable states exist for the benefit of their monstrous leaders who proceed to murder their own subjects. So, let them fracture into threes, improving matters for the locals and the outside world. The West should stand back from the fight between Sunni and Shi'i jihadis, while helping the Kurds. As Turkish-backed Sunni jihadis fight Iranian-backed Shi'i jihadis in Suraqiya, the West should stand back from the fighting. Neither side deserves support; this is not our fight. Indeed, these two evil forces at each others' throats means they have less opportunity to aggress on the rest of the world. If we do wish to help, it should be directed first to the many victims of the civil war; if we want to be strategic, help the losing side (so neither side wins). As for the massive flow of refugees from Syria: Western governments should not take in large numbers but instead pressure Saudi Arabia and other rich Middle Eastern states to offer sanctuary. Why should the Saudis be exempt from the refugee flow, especially when their country has many advantages over, say, Sweden: linguistic, cultural, and religious compatibility, as well as proximity and a similar climate. The rapid emergence of a Kurdish polity in Iraq, followed by one in Syria, as well as a new assertiveness in Turkey and rumblings in Iran are a positive sign. Kurds have proven themselves to be responsible in a way that none of their neighbors have. I say this as someone who, 25 years ago, opposed Kurdish autonomy. Let us help the Kurds who are as close to an ally as we have in the Muslim Middle East. Not just separate Kurdish units should come into existence but also a unified Kurdistan made up from parts of all four countries. That this harms the territorial integrity of those states does not present a problem, as not one of them works well as presently constituted. The June 2015 election turned out not so well for the Justice and Development Party (Adalet ve Kalkınma Partisi, or AKP), the party that's single-handedly been ruling Turkey since 2002. It's an Islamist party but more importantly of late, it is the party of tyranny. 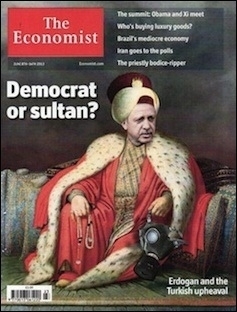 Erdoğan Pasha as imagined by The Economist. Recep Tayyip Erdoğan, its dominant figure, does as he wishes, gaining undue influence over the banks, the media, the schools, the courts, law enforcement, the intelligence services, and the military. He overrides customs, rules, regulations, and even the constitution in the block-by-block building of a one-man rule. He's the Middle Eastern version of Venezuela's Hugo Chávez. For the most part, Erdoğan has played by democratic rules, via elections and parliament, which has served him well. But the June election could spell the end of his self-restraint. Long ago, when mayor of Istanbul, he signaled that he ultimately does not accept the verdict of elections, stating that democracy is like a bus: "You ride it until you arrive at your destination, then you step off." He has now reached that destination and appears ready to step off. He has initiated hostilities against the Kurdish PKK group as an ugly electoral tactic (to win over Turkish nationalists); he might go so far as to start a war between now and the Nov. 1 snap elections, taking advantage of a constitutional provision deferring elections in time of war. Erdoğan's undoing will likely come not from domestic problems, but from failed foreign escapades. Accordingly, the June electoral setback will not prove much of an obstacle to Erdoğan, whose path to tyranny remains open. Erdoğan's undoing will likely not be domestic, nor will it concern a relative triviality like votes; it will be foreign and concern larger issues. Precisely because he has done so well domestically, he believes himself a master politician on the global stage and pursues a foreign policy as aggressive as his domestic one. But, after some initial successes of the "Zero problems with neighbors" policy, Turkey's international standing lies in tatters. Ankara has bad relations or major problems with nearly every neighbor: Russia, Azerbaijan, Iran, Syria, Iraq, Israel, Egypt, Greek Cyprus, Turkish Cyprus, and Greece, as well as the United States and China. Some foreign escapade will likely be Erdoğan's undoing. 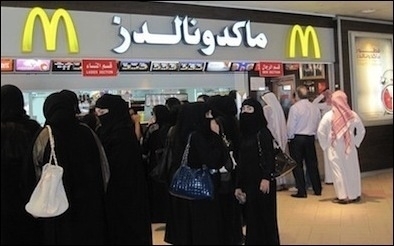 In Saudi Arabia, even McDonald's has a "Ladies Section" (with noticeably slower service). Saudi Arabia is the most unusual country in the world. Even if you're from, say, Qatar or Abu Dhabi, its social mores and governmental institutions are strange. It hosts, for example, not a single movie house. Men and women use separate elevators. Non-Muslims are forbidden to enter two of its cities (Mecca and Medina). A vice squad terrorizes the population. Christians get in trouble for praying, Jews are with rare exceptions prohibited. The government runs a powerful, competent police state with few pretenses of elections, a constitution, or the other rigmarole of dictatorships. It observes, censors, and intrudes. Police checkpoints proliferate. The government employs three different military forces—Pakistani mercenaries to defend the oilfields, a national army to protect the borders, and a tribal guard to protect the monarchy. Monarchies typically count 10, 20, or even 50 members in the royal family; the Al Saud has around 10,000 males (females don't count politically) and they constitute a nomenklatura, to use that helpful Soviet term. Family members run the country, which has been called the only family business with a seat at the United Nations. The Saudis are protecting themselves by working with Israel, but the relationship likely won't last. But this structure now stands in danger. For 70 years, the monarchy looked to the U.S. government to provide external security. Now, for the first time, in the age of Obama, that assurance no longer exists, and especially not after the Iran deal, in which Washington aligned more closely with Tehran than with Riyadh. The Saudi leadership is taking steps to protect itself, the most notable one of which is working with Israel. It's a logical step, but still it's mildly astonishing. My prediction: it's temporary and will not outlast the crisis. Should a Republican become president in 2017, the relationship with Israel will close down. Abdel Fattah el-Sisi has now been in power for two years, since July 2013, in the aftermath of a massive demonstration against the Muslim Brotherhood president, Mohamed Morsi. Sisi has the right priorities in mind: suppressing the Islamists and fixing the economy. But I worry about his achieving success in either arena. No one despises Islamists more than me. I endorse tough measures to battle this totalitarian movement, such as rejecting their efforts to apply Islamic law, excluding them from mainstream institutions, and banning their representatives from elections. But Sisi's heavy-handed and extra-legal policies go too far and are counterproductive. For example, sentencing nearly 600 people to death for the murder of a policeman, followed a month later by sentencing another near 700 people for the same murder, is not only massively disproportionate but also likely to backfire and help the Islamists gain sympathy. Many of Egypt's factories are 1950s dinosaurs. The economy is the other major problem. In the 1950s, Gamal Abdel Nasser, also a military officer, put in place a socialist regime typical of that era, with great Soviet-style factories badly attempting import substitution. Not only is that system still in place but the state's economic role grew substantially under Mubarak and continues to grow further under Sisi. Both presidents keep retired military colleagues happy by giving them sinecures. "You're a retired colonel? Good, take over this cotton factory" or "Start this desert town." Estimates suggest that about 25 to 40 percent of the Egyptian economy hobbles as part of "Military, Inc."
Egypt imports a greater portion of its caloric intake than any other country. Also, a disdain for agriculture creates enormous problems, so that Egypt, both in absolute and relative terms, imports more of its caloric intake than any other country. For example, figures for the fiscal year 2013-14 show that Egypt imported 5.46 million tons of wheat, or 60 percent of the country's total consumption, making it the world's largest wheat importer. Once the breadbasket of the Nile, Egypt can no longer feed itself but instead depends on the Saudis and others for subventions to purchase food abroad. The recent gas field discovery in the Mediterranean will help, but will not solve this problem. It's not an accident that an Egypt in decline gets a man like Sisi to step forward. Prideful and incompetent, Sisi nonetheless sees himself as part of a continuum of great Egyptian leaders, like Nasser as well as Anwar al-Sadat. Sisi told a journalist in an off-the record interview leaked to the media that he's been dreaming about his own greatness for 35 years. But the many choices Sisi made to get there show him to be dangerously over his head. He still rides high, with impressive popularity ratings (recall the cookies and pajamas bearing his face), but should he falter, that support will quickly evaporate. Islamists will exploit his incompetence no less than he took advantage of their failures. The cycle of coups d'état threatens to repeat, with Egypt falling further behind, the precipice of disaster looming closer along with the prospect of massive emigration. I wish Sisi well but am braced for the worst. In November 2000, Ehud Barak said that Israel resembles "a villa located in a jungle." I love that expression; and how much truer it is today, with ISIS on Israel's Syrian and Sinai borders, Lebanon and Jordan groaning under unsustainable refugee influxes, the West Bank in anarchy, and Gaza approaching the same? Everyone knows about Israel's high-tech capabilities and military prowess. But much more about it is impressive bordering on extraordinary. There are lots and lots of Israeli children. Demography: The entire modern, industrial world from South Korea to Sweden is unable to replace itself demographically, with the single, outstanding exception of Israel. Societies need roughly 2.1 children per woman to sustain their populations. Iceland, France, and Ireland come in just below that level, but then the numbers descend down to Hong Kong with its 1.1 children per woman, or just over half of what's necessary for a country to survive long term. Well, Israel is at 3.0. Yes, the Arabs and the Haredim partly explain that high number, but it also depends on secular Tel Aviv residents. It's nearly unprecedented development for a modern country to have more children over time. 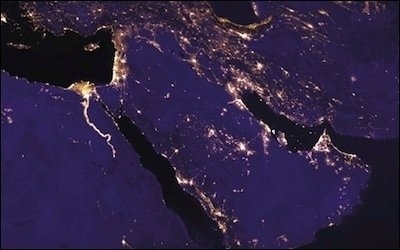 Israel has as large an energy reserve as Saudi Arabia. Energy: Everyone knows the old quip about Moses taking a wrong turn on leaving Egypt. Well no, it turns out he didn't. Israel has as large an energy reserve as—get this—Saudi Arabia. Now, this resource is not as accessible, so it's far more expensive and complex to exploit than Arabia's enormous and shallow pools of oil, but it's there and Israelis will someday extract it. Illegal immigration: This is a brewing crisis for Europe, especially in summertime, when the Mediterranean and the Balkans become highways from the Middle East. Israel is the one Western country that has handled this problem by building fences that give control over borders. Israel is so awash in water that it exports some to neighbors. Water: Twenty years ago, like everyone else in the Middle East, the Israelis suffered from water shortages. They then solved this problem through conservation, drip agriculture, new methods of desalination, and intensive recycling. One statistic: Spain is the country with the second-highest percentage of recycling, around 18 percent. Israel does the most recycling, at 90 percent, five times more than Spain. Israel's now so awash in water that it exports some to neighbors. In all, Israel's doing exceptionally well. Of course, it is under the threat of weapons of mass destruction and the delegitimization process. But it has a record of accomplishment that I believe will see it through these challenges. 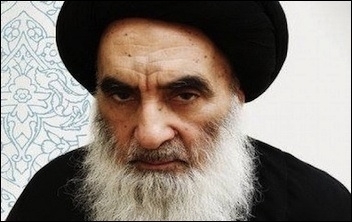 Iraq's most senior Shia cleric, Ayatollah Ali al-Sistani, issued a fatwa in June 2015 calling on all able-bodied men to take up arms against ISIS. Shiite revolutionaries: Spearheaded by the Iranian regime, they are on the warpath, relying on Tehran's help, apocalyptic ideology, subversion, and (eventually) nuclear weaponry. 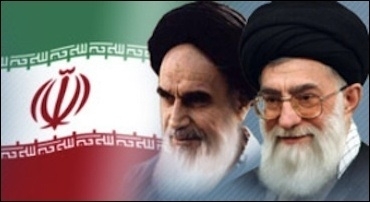 They want to overturn the existing world order and replace it with the Islamic one envisioned by Ayatollah Khomeini. The revolutionaries' strength lies in their determination; their weakness lies in their minority status, for Shiites make up just 10 percent or so of the total Muslim population and further divide into multiple sub-groups such as the Fivers, Seveners, and Twelvers. Sunni revisionists: They deploy varied tactics in the common effort to overthrow the existing order. At one extreme stand the crazies – ISIS, Al-Qaeda, Boko Haram, Shabaab, and the Taliban, hate-filled, violent, and yet more revolutionary than their Shiite counterparts. The Muslim Brotherhood and its affiliates (such as President Erdoğan of Turkey) fill the middle ground, using violence only when deemed necessary but preferring to work through the system. Soft Islamists like Fethullah Gülen, Pennsylvania's Turkish preacher living in self-exile, forward their vision through education and commerce and work strictly within the system, but whose goals, despite their mild tactics, are no less ambitious. Sunni status-quo maintainers: The Saudi state heads a bloc of governments (GCC members, Egypt, Jordan, Algeria, Morocco), only some of which are Islamist, that wish to hold onto what they have and fend off the revolutionaries and revisionists. Violent Islamists, Shiite and Sunni alike, are doomed. Their attacks on fellow Muslims alienate coreligionists. They challenge non-Muslims in precisely those areas where the latter are strongest; the combined might of the military, law enforcement, and the intelligence services can crush any Islamist uprising. Violent Islamists, Shiite and Sunni alike, are doomed. Islamist violence is counterproductive. Its drumbeat quality teaches and moves public opinion. Murderous assaults move opinion, not the analysts, the media, or politicians. An incident like the Charlie Hebdo massacre in Paris moves voters over to anti-Islamic parties. Blood in the streets teaches. It's education by murder. In contrast, lawful Islamists working within the system are very dangerous. They are seen as respectable, appearing on television, appearing as lawyers in courtrooms, and teaching classes. Western governments mistakenly treat them as allies against the crazies. My rule of thumb: The less violent the Islamist, the more dangerous. Therefore, were I an Islamist strategist, I'd say, "Work through the system. Cut the violence except on those rare occasions when it intimidates and helps reach the goal." In fact, the Islamists are not doing this, to their detriment. They are making a major mistake, to our benefit. 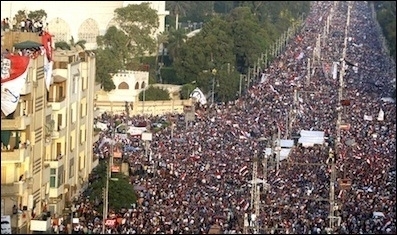 Tens of millions of Egyptians marched against Islamist rule in June 2013. The Islamist movement could be on the way down due to infighting and unpopularity. As recently as 2012, it appeared able to overcome the many internal tensions – sectarian (Sunni, Shiite), political (monarchical, republican), tactical (political, violent), attitudes toward modernity (Salafi, Muslim Brotherhood), and personal (Fethullah Gülen, Recep Tayyip Erdoğan). Since then, however, Islamists can't stop fighting each other. This fits an historic Middle Eastern pattern in which a victorious element tends to split. As it approaches power, differences become increasingly divisive. Rivalries papered over in opposition emerge when power is at hand. Second, to know Islamists is to reject them. The massive Egyptian demonstrations after one year of Muslim Brotherhood rule offer the strongest piece of evidence for this conclusion. Other indications come from Iran (where a great majority of the population despises its government) and Turkey (where votes for the ruling Islamist party just went down by 20 percent). We are witnessing the end of political Islam's era, which began in the mid-1970s, to be replaced by what Iranian intellectual Asef Bayat described as a "post-Islamization" era, when politically and socially, following a period of trials, political Islam's vitality and attractiveness have been exhausted even among the most ardent of its supporters and enthusiasts. These problems offer grounds for optimism but not for complacency, for trendlines can change again. The challenge of marginalizing Islamism remains alive. From a Western point of view, Middle Eastern political forces divide into three: the Islamist, the liberal, and the greedy. Each requires a specific approach. We should reject any and all that is Islamist. As much as possible, this means not dealing with and never helping Islamists, whether as seemingly democratic as the ruling party in Turkey or as maniacal as the ISIS militias, for they all aspire to the same ugly goal of imposing Islamic law. Just as we're wall-to-wall anti-fascist, let us similarly be resolutely anti-Islamist. That said, we have a major relationships with Turkey, Saudi Arabia, and other states, so raison d'état requires tactical compromises. However distant from Middle Eastern corridors of power, secular liberals point to a better future. In contrast, we should always favor those called liberals, moderns, seculars, or Tahrir-Square types; they aspire to a better Middle East and are the region's hope. We in the West are their model; they look to us for moral and practical sustenance. The West must stand by them because, however distant from the corridors of power and forlorn their circumstances, they point to a better future. The third group, that of greedy kings, emirs, presidents and other dictators, requires more nuance. We should cooperate with them but also constantly pressure them to improve. For example, with the exception of a mere two years, 2005-06, Western governments did not pressure Hosni Mubarak, the tyrant who ruled Egypt for 30 years; we didn't encourage political participation, advocate for the rule of law, or demand personal freedoms. Had we consistently taken those steps, Egypt would be in a much better place. In sum: reject Islamists, accept liberals, deal warily with dictators. In a high-minded way, George W. Bush tried to attain too much in the Middle East—a free and prosperous Iraq, a transformed Afghanistan, a solution to the Arab-Israeli conflict, democracy throughout. Brushing up against the region's hard realities, he failed in all these efforts. 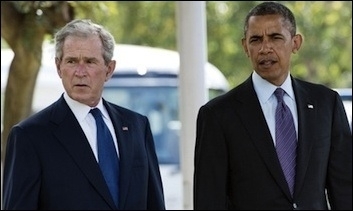 Both George W. Bush and Barack Obama got the Middle East wrong. Barack Obama did the opposite—too little—and he too failed. Boiled to its essence, his policy amounts to "Downgrade US interests, snub friends, and seek consensus." He snubbed the Iranian uprising, abandoned long-standing allies, tried to leave the region to pivot to Asia. This outlook marks the president as a standard-issue American leftist, not an outlier. Although he was born and raised a Muslim, this background does not have a perceptible impact on his policies. His political views alone explain his outlook. Iran is the one (inexplicable) exception to this pattern: the past 6½ years reveal that Iran – and not China, Russia, Mexico, Syria or Israel – has been Obama's top foreign affairs priority. I suggest a US policy between these two extremes: one defined by the protection of Americans and American interests. Promoting American interests offers a guideline to decide where to get involved and where not to. This also has a benign impact on allied countries, such as Canada. A region notorious for its problems also offers some good news. Tyranny is shakier than five years ago. Islamists are weakened by their infighting and unpopularity. The foul Syrian and Iraqi states are dying, Kurdistan is emerging. 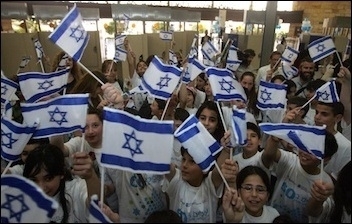 Israel is flourishing. Gulf Arabs, especially in Dubai and Abu Dhabi, are experimenting with new paths to modernity. So, amid a sea of misfortune and even horrors, there are also some wisps of hope in the Middle East. Policy makers should note these and build on them.